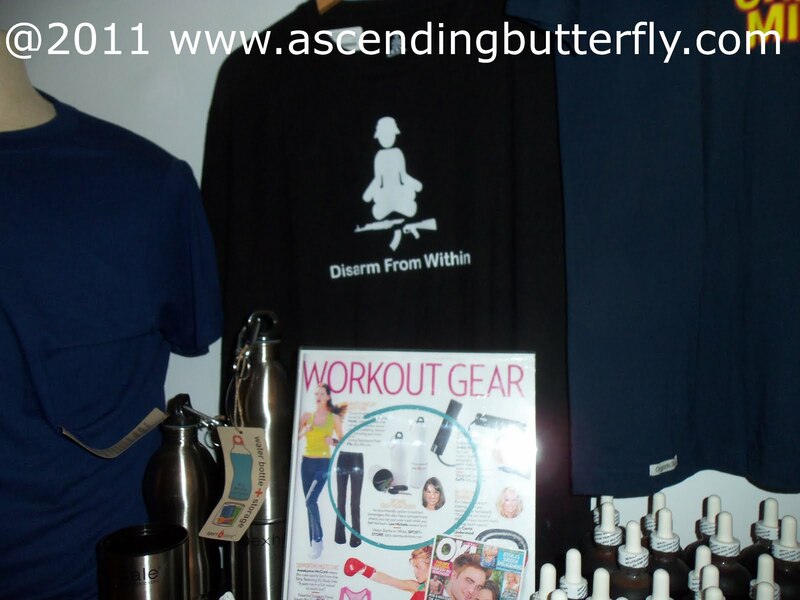 Ascending Butterfly: Todays Words of Inspiration - Disarm From Within! So the picture above should look familiar if you read yesterdays Not So Wordless Wednesday. I loved that tshirt that I spotted at Exhale Spa last week when I took my first Zumba Class thanks to Degree Women. It really resonated with me. We've spoken here at length about Negative Self Talk and how it sabotages our own progress. So if the negativity and self-defeatist thoughts originate from within, then they need to be disarmed from within and that's where affirmations come in! Sometimes it is super easy to blame external circumstances for our problems, pains and fears, but just how much of it are we causing ourselves? You can disarm, by starting from within! I am a firm believer in visualizing..It has helped me recover from a terrible accident and over the years helped me childbirth..
@corinne - I agree! Visualization is a very powerful tool, and I'm happy to hear it's been so effective for you at times when you needed it most!